The following information is extracted from ‘The History and Antiquities of the Diocese of Ossory’ Vol II by The Rev. William Carrigan C.C. in 1905. A monastery is said to have been founded here in 550 A.D. but no vestige of it remains. In 1156 Aghamacart was burned in the savage raid made on Ossory by Muirchaeartach macNeill Ua Lochlainn. About the time of the Anglo-Norman invasion a Priory for Canons Regular of the Order was St. Augustine was established here, under the invocation of the Blessed Virgin and St. Tighearnach. Records attribute its foundation to O’Dempsey (Chief of Clanmaliere, more than 25 miles away) but it is more probable that McGillapatrick, Lord of Ossory was the founder. 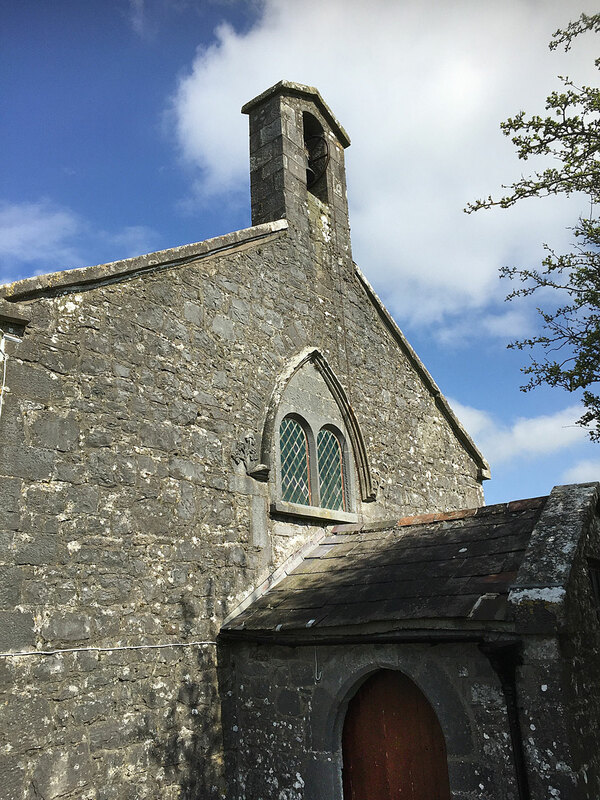 Around 1225, Peter Bishop of Ossory signed a charter which granted half of the Church of Claragh to the Prior and Canons of St. John’s Abbey, Kilkenny and the other half to be vicar of said church. In 1251 King Henry III granted letters of simple and unlimited protection to the priors and canons of Fertagh and Aughamacart in Ireland. The ancient parish church of Aghamacart stood in ruins until Protestant Bishop, Dr. Pocock (1756-65) had the chancel fitted up as a parish church. This parish church is still in use today. 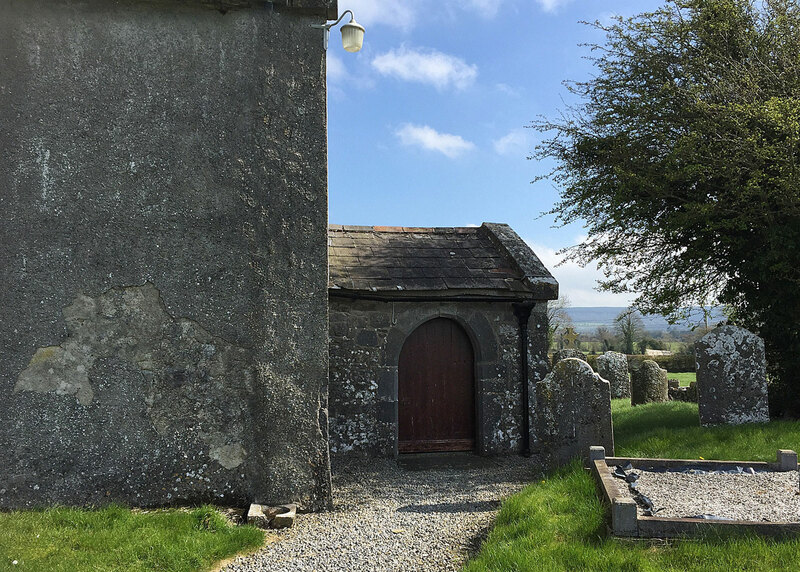 The burial vaults at Aghamacart are said to have been extensive and to have probably penetrated far under the building to the north of the Protestant church. 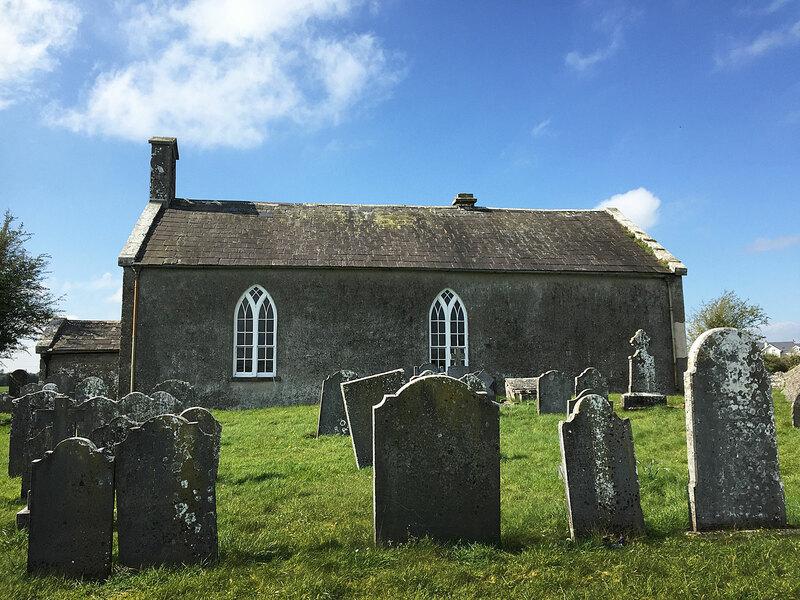 Only one vault now remains to be seen, which belongs to the Fitzpatrick’s of Coolcashin and has an inscription over the doorway of about 1770 ‘Pray for the souls of the Fitzpatrick family interred in this vault’. It is suggested that the vault is older than the inscription and may have been built early in the 17th Century. 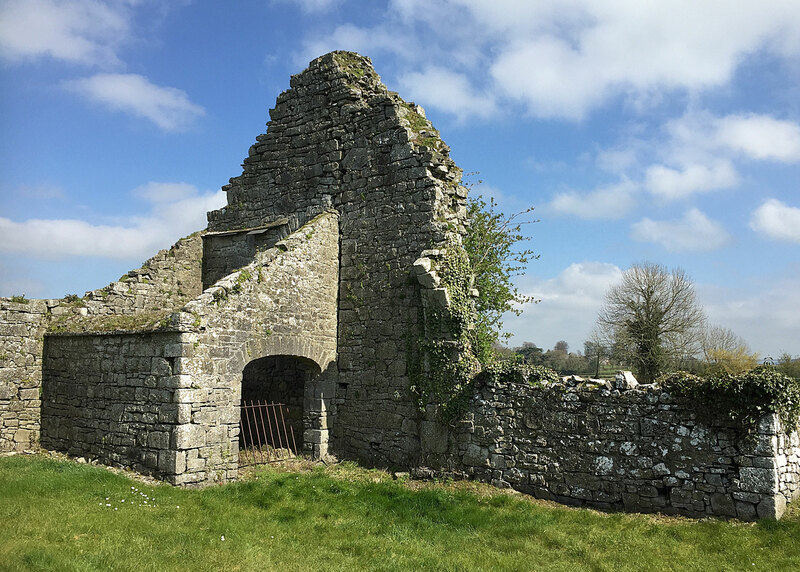 The only landed property in possession of the Priory of Aghamacart, consisted of the two townlands of Aghamacart and Cannonswood (Wood of the Canons Regular) about 744 acres. Sketches of the ruins of the Aghamacart Priory from the close of the 18th Century, show the present Protestant church and a very high square castle which stood opposite its north gable at a distance of about 20 yards; they also show a ruinous building attached to the east wall of the castle and extending eastward for a considerable distance. The castle, which was most likely the residence of the Canons is stated by these who remember it, to have been as high and almost as large as that of Cullohill Castle. It collapsed from its very foundations in the early 1800’s. One of the walls remains and stands to a height of 20ft. It is likely that the Medical School of Aghamacart operated from the castle. Aghamacart Medical School was notably one of the first medical schools in Ireland. 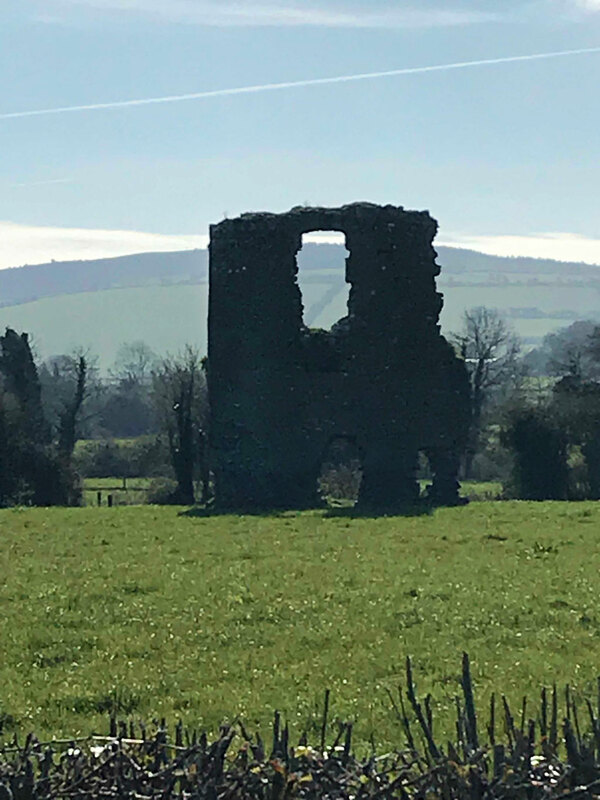 ‘Cullohill Castle, build about 1425, and now an impressive ruin is a lasting reminder of the political power and vigour of the Mac Giolla Phadraig dynasty. An equally enduring, if less spectacular, monument to their influence is a group of manuscripts associated with the medical school that flourished under their patronage in Aghmacart, a townland that lies about a mile to the west of Cullohill Castle. The school of Aghmacart, which was conducted by the O’Conchubhair family, reached it acme during period c.1590 – c. 1610’. Specific details regarding the foundation of the school are unavailable, but it was certainly long established by 1500, the approximate date of writing of the earliest document associated with it, National Library of Ireland MS G 12, a vellum manuscript in which no place of writing is given, but which is an anthology of medical texts, the principal scribe of which was Giolla Padraig O’ Conchubhair. 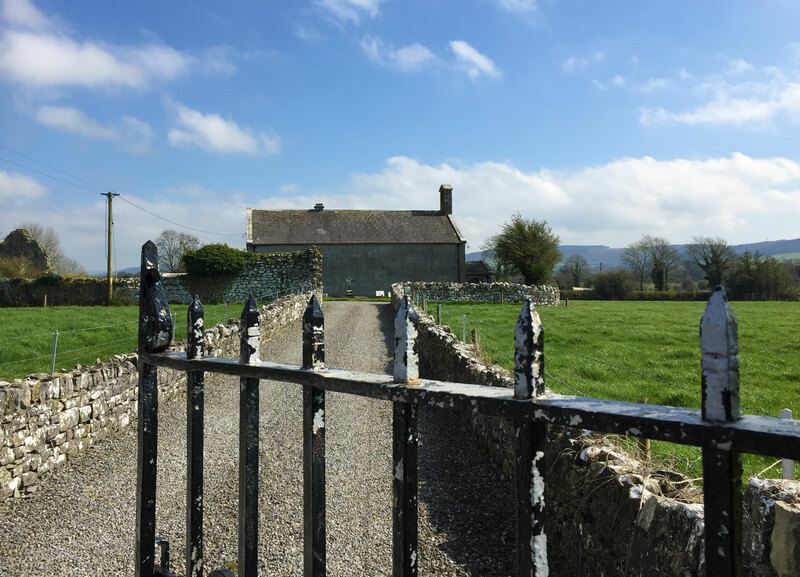 There is no evidence of how medicine was thought in the early medical schools but Aghmacart is of historic importance due to the large number of important medical documents which were translated from Latin to Irish by physicians of the O Conchubhair family. In her paper ‘The Medical School of Aghmacart, Queen’s County’ Aoibheann Nic Dhonnchadha summarises what is known of the origins and activities of the school by tracing the careers of four of its physicians; Donnchadh Og O Conchubhair (1581-1611), Risteard O Conchubhair (1561-1625), Donnchadh Albanach O Conchubhair (1571-1647) and Cathal O Duinnshleibhe (1592-1611). The paper is included in ‘Ossory, Laois and Leinster Vol II (2006) and is available for copying in Heritage House, Abbeyleix and larger libraries from in the area. About 100 yards north east of church graveyard at the opposite side of the road to Cullohill, there was a small fertile field called Infirmary field; this is said to have been the site of the Priory Infirmary and in very dry summers the foundations of houses could be distinctly traced, beneath the surface. Tradition states that here too was a church, perhaps the first church in Aghamacart. There was until the beginning of the 20th Century a well near the courtyard, to the south west called Causey Well. There is another very large well south of the churchyard near the Gowl bridge, and known as ‘Inch Well. The bell of the Priory chapel is believed to have hidden here at the time of the Reformation, and to have never been brought to the surface. Note: Aghmacart is now spelt ‘Aughmacart’ and is situated 3kms from Cullohill Village. 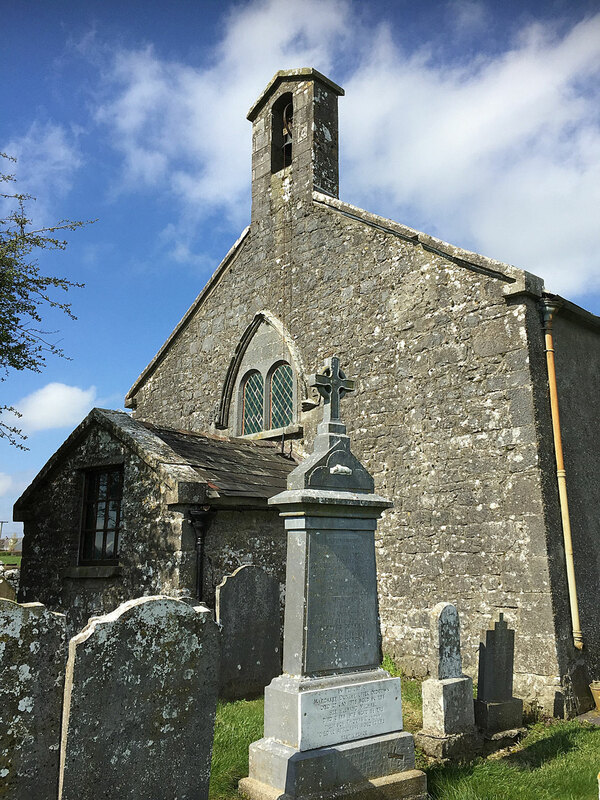 The Eircode for the church is R32 RV05. The ruins of the castle is situated on the opposite side of the road to the church and is easily viewed from the graveyard. 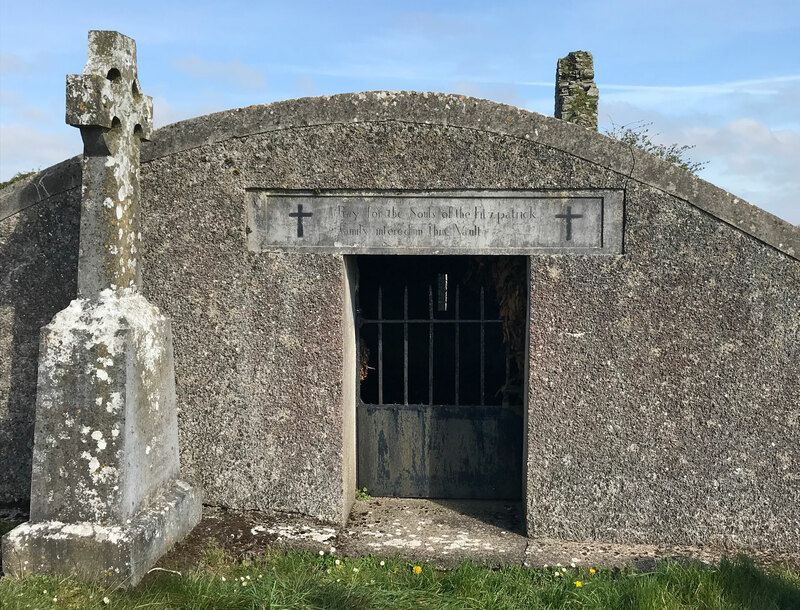 The Burial vault at Aughmacart Chapel, which reads, "Pray for the Souls of the Fitzpatrick Family interred in this vault". The only remaining wall of Aughmacart Castle.